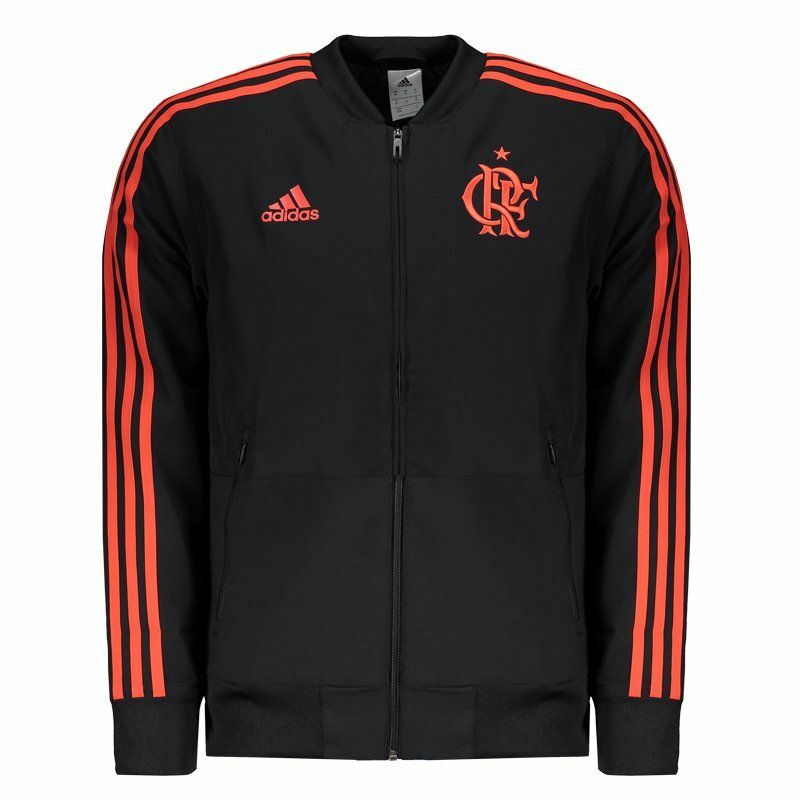 The Adidas Pre Game 2018 Flamengo Jacket is a great option for Mengão fans to wear on low temperature days. The piece is made of polyester with lining in the same composition, presenting light fabric and able to warm the body without regret. More info. 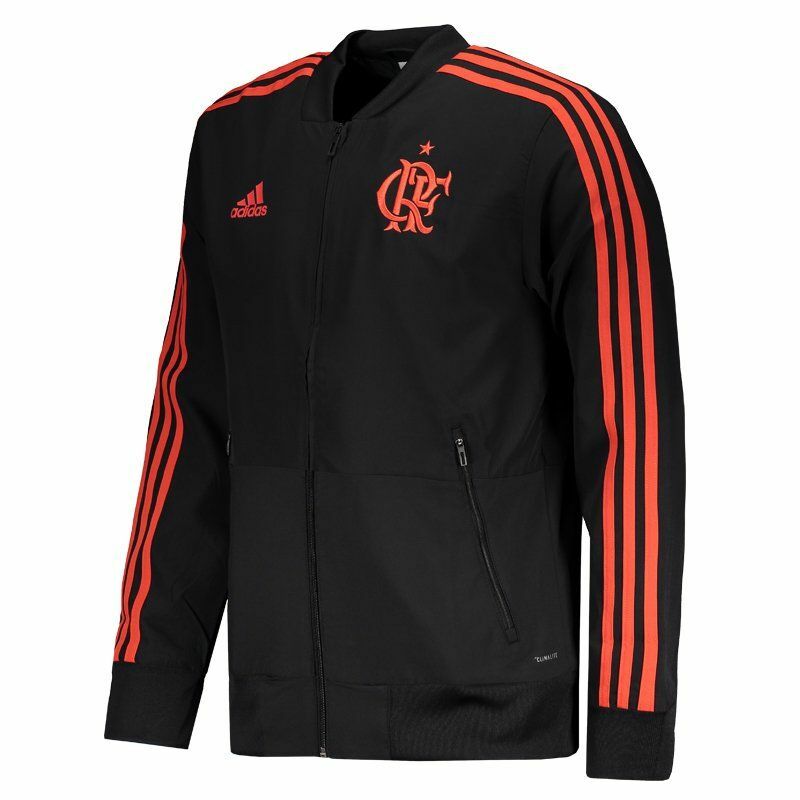 The Adidas Pre Game 2018 Flamengo Jacket is a great option for Mengão fans to wear on low temperature days. The piece is made of polyester with lining in the same composition, presenting light fabric and able to warm the body without regret. 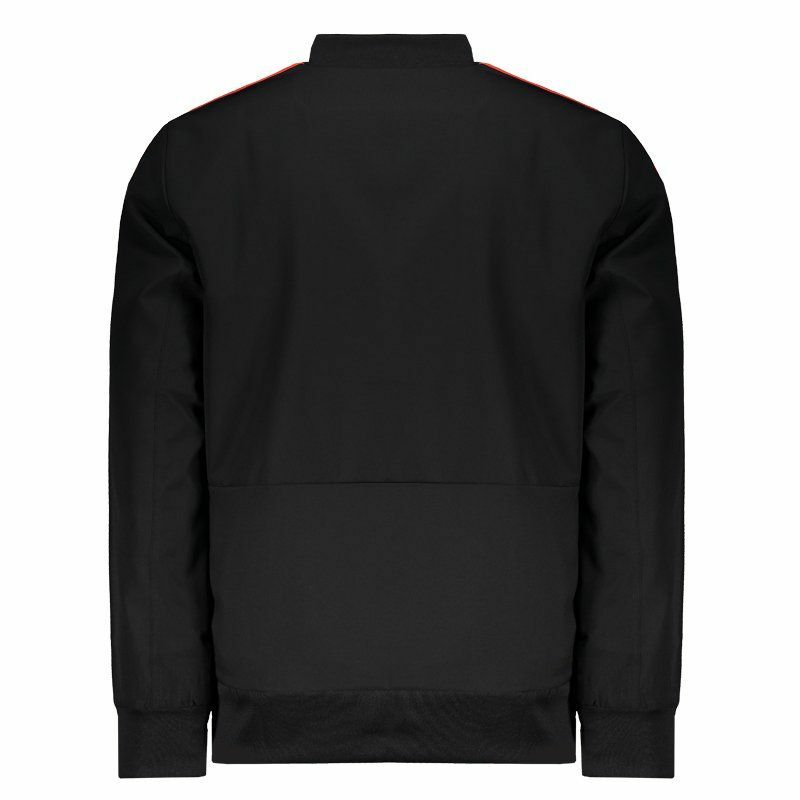 The design is composed of black color and brings details in red. 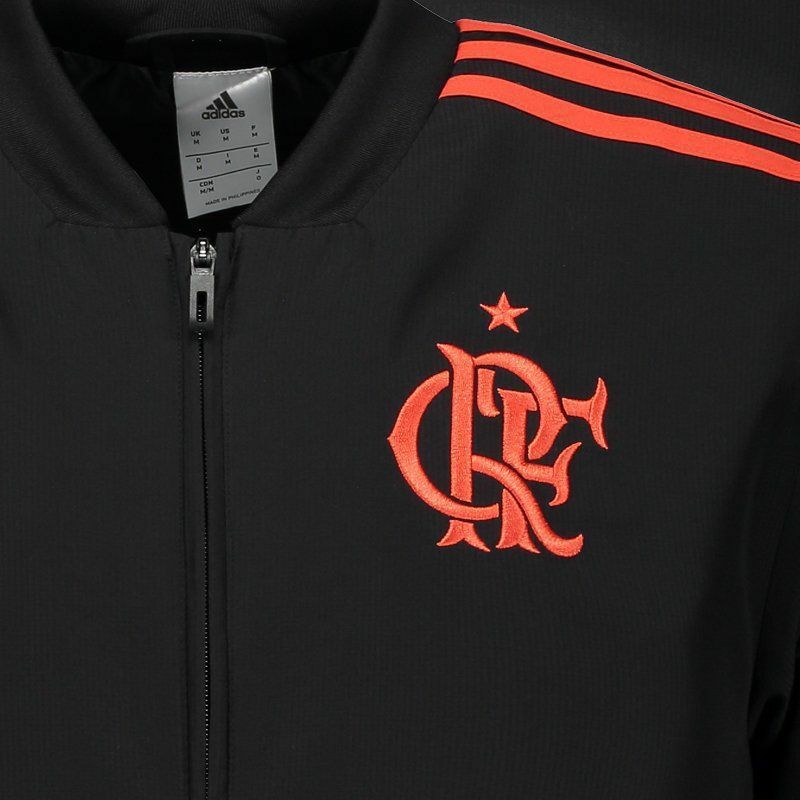 The badge and the logo of the brand appear embroidered in the frontal region, in prominence. In addition, the classic three stripes of Adidas are seen in the sleeves, which, in turn, has a fluted finish on the wrist. The collar is crew and its opening / closing contains zipper for added practicality on a day to day basis. It also offers zippered pockets, ideal for carrying small items safely. Finally, it has Climalite® technology, which removes sweat from your skin and keeps your body dry and airy during activities.